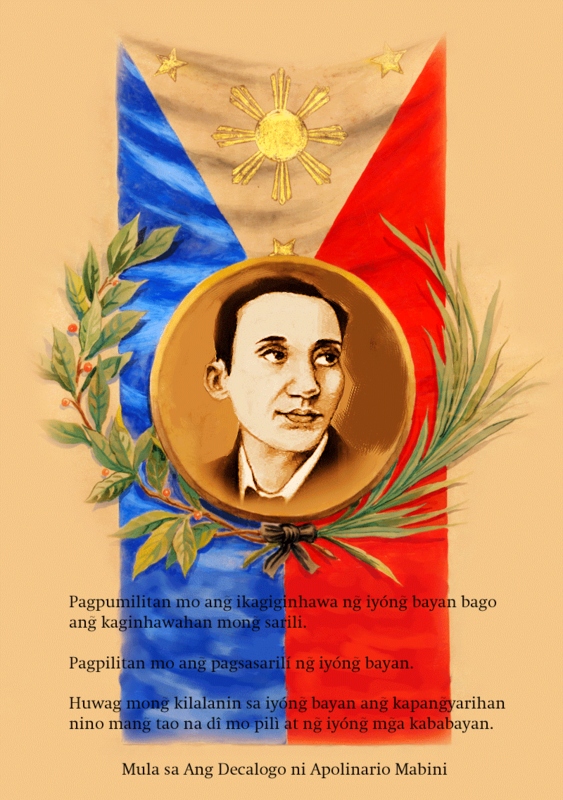 History once again unfolds as we give light to the events in the life of one of our national heroes, Apolinario Mabini. 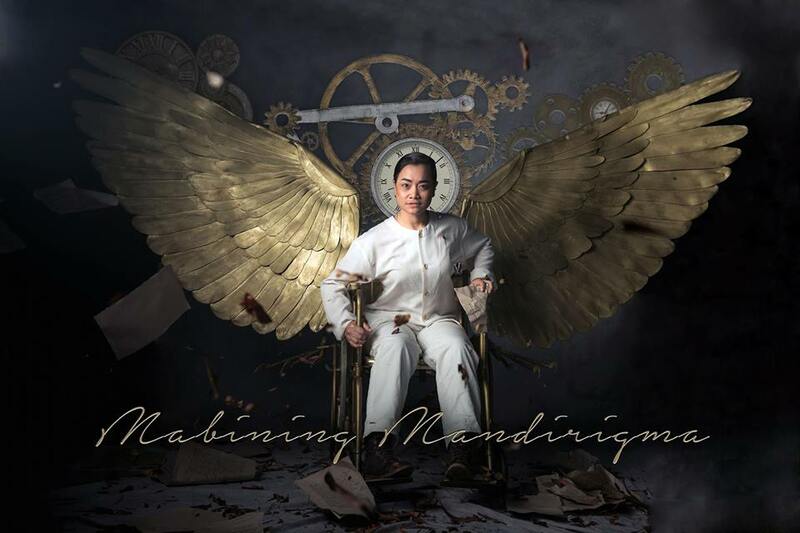 Tanghalang Pilipino, the resident theater company of the Cultural Center of the Philippines, with the support of the National Commission for the Culture and Arts, opens its 29th Season with Mabining Mandirigma, a contemporary dance musical that foregrounds the legal and diplomatic heroism of Apolinario Mabini. As the culminating production to commemorate the sesquicentennial birth of Apolinario Mabini, Mabining Mandirigma promises a highly-charged musical that will take the audience to a different journey through history. Steampunk, a subgenre of science fiction that incorporates technology and aesthetic designs inspired by 19th Century industrial steam-powered machinery, provides a fitting backdrop to an already action-packed musical. Mabining Mandirigma is a steampunk musical foregrounding the intellectual heroism of Apolinario Mabini, who in the second phase of Philippine revolution, displayed an uncommon vision, a warrior’s spirit, and a principled character, as he struggled against all odds to enjoin his countrymen to go beyond considerations of class, clan, economic gain and personal ambition, so they could think and act as citizens of one nation. In partnership with National Commission for Culture and the Arts (NCAA), this closes the year-long celebration of the 150th birthday of Apolinario Mabini. 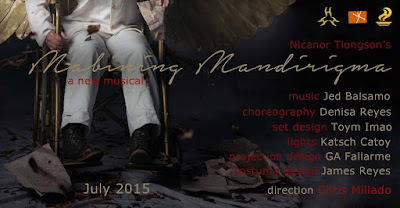 Directed by the Cultural Center of the Philippines’ Vice President and Artistic Director Chris Millado and written by Dr. Nicanor Tiongson, the stellar cast is led by Delphine Buencamino essaying the role of Apolinario Mabini; promising young tenor Arman Ferrer plays Emilio Aguinaldo, while Carol Bello plays Mabini’s Mother, Dionisia as they are joined by the Tanghalang Pilipino Actors Company. 1898, as President Emilio Aguinaldo’s Adviser, Cabinet President, and first Foreign Minister, Mabini displayed a warrior’s spirit that belied his paralytic body and a principled character that could not be compromised by considerations of personal aggrandizement or political expediency. Without fear, he fought the ilustrado-cacique clique in the Malolos Government that issued government bonds that would allow them full control of the new government’s finances and activities. When Aguinaldo replaced Mabini with the political chameleon Paterno as cabinet president, Mabini, now much weakened by sickness, continued to support the masses fighting the American invaders, even long after Aguinaldo and his generals had capitulated to the new conquerors. To cut him off from the revolutionists, the Americans exiled Mabini to Guam. In 1902, his captors shipped him back to the Islands because he promised to finally take his oath of allegiance to the United States of America. But as soon as he landed in Manila, he pursued his revolutionary activities until his demise by cholera in 1903. 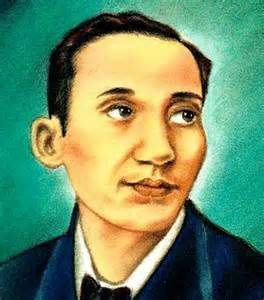 Apolinario Mabini’s life is as testimony that there exists a politician who can forge and sharpen the sword of his integrity in the smithy of even the dirtiest kind of politics and still emerge unbroken, pure, and unblemished. 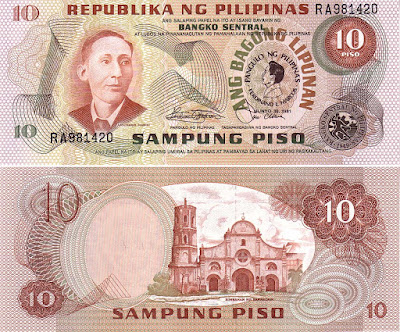 On 12 June 1898 Apolinario Mabini presents his vision and plans for the second phase of the Philippine revolution against Spain to Gen. Emilio Aguinaldo. Impressed, the general appoints the paralytic as his chief adviser, believing that the two of them are destined to finish the revolution and set up the new Filipino nation. Mabini advises Aguinaldo to open a congress that will legitimize his government and act as his advisory body. After the US forces grab Intramuros for themselves, the revolutionary government moves to Malolos, where Aguinaldo promptly convenes congress and appoints Mabini chief minister. But soon, the new government must face major threats to its rule, not only from the American colonizers but from the ilustrado members of congress. First, the bourgeois ilustrados led by Pedro Paterno and Felipe Buencamino prepare a 50-million peso loan package to the new government that will allow them to control and profit from the financial assets and institutions of the government, and thereby control the government itself. Mabini exposes the ploy, but Aguinaldo, desperate for funds to buy arms and pay his soldiers, approves the loan. Second, refusing to be a mere advisory body, congress creates a constitution that privileges the “oligarchy of the educated” (congress) over the “oligarchy of the ignorant” (the executive and the army). Mabini insists that in time of war, the executive must be free to make decisions without being shackled by congress. After a few concessions are granted to the executive, the constitution is approved by Aguinaldo. At the dinner celebrating the new republic on 23 January 1899, the president toasts the members of congress, the army, and especially the Mabini cabinet that served the government gratis et amore. 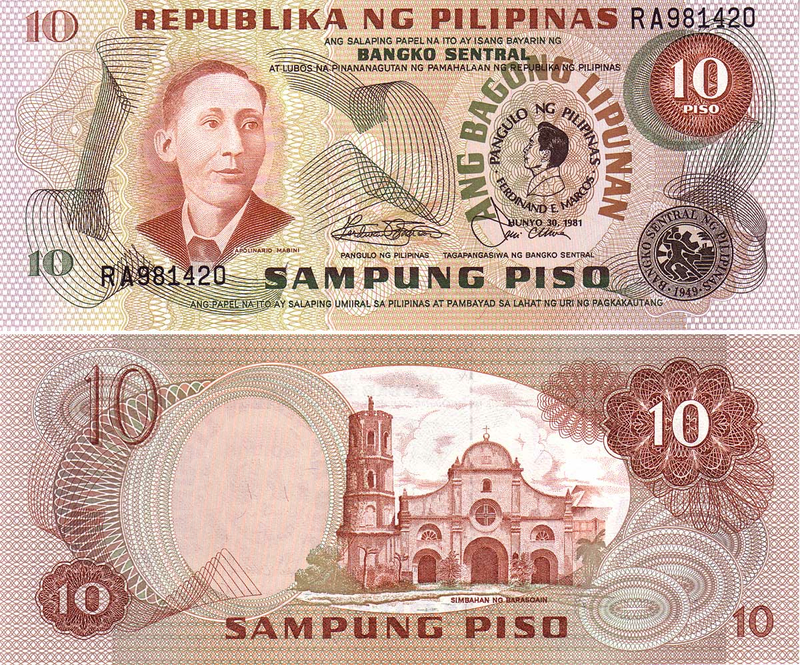 The ilustrados are jealous of Mabini’s powers. Aside from the Paterno clique, personal patronage threatens the new government. Fearing that Antonio Luna wants his position, Aguinaldo refuses to punish Capt. Pedro Janolino and the Cavite troops who commited insubordination under Luna. Mabini reminds Aguinaldo that he is president of a nation, not petty ruler of a tiny fiefdom. Aguinaldo does not listen and his intransigence eventually leads to the Luna assassination. Meanwhile, Paterno’s clique, realizing the power of American arms, pressures Aguinaldo to accept the American offer of Philippine autonomy under the US. 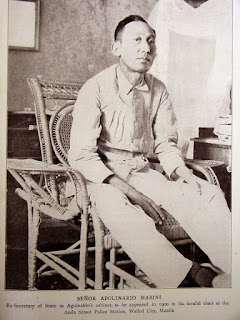 Mabini bitterly denounces autonomy as a betrayal of the independence enshrined by the very constitution that the ilustrados themselves prepared, but Aguinaldo sides with Paterno. Mabini resigns as chief minister and Aguinaldo appoints Paterno in his place. After his resignation, Mabini uses his pen to unmask America’s imperialist intentions and rally the Filipinos behind the Aguinaldo government. 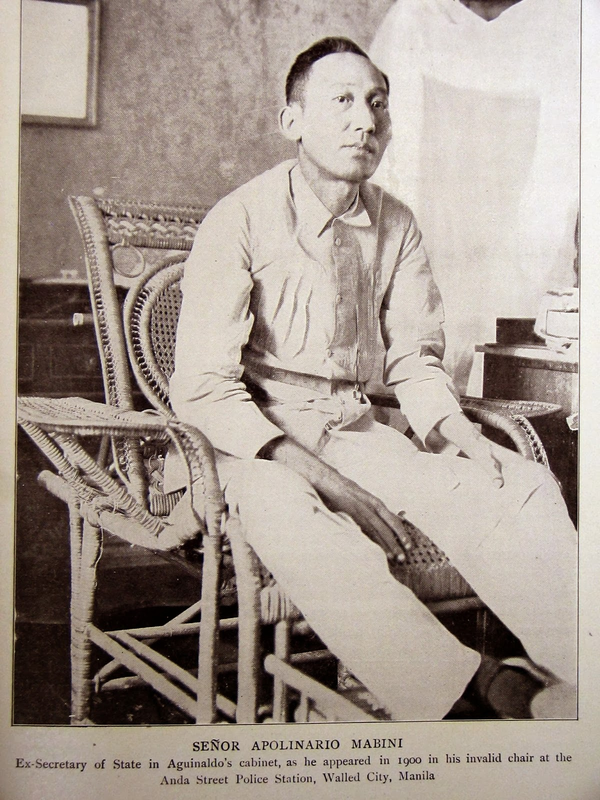 In December 1899 Mabini is captured in Nueva Ecija. Imprisoned in Intramuros, he rejects the amnesty offered by Gen. MacArthur through Paterno and continues to help the revolution under the very noses of the Americans, who then decide to exile him with other “irreconcilables” to Guam. After two years in exile and the defeat of the armed resistance against the US, Mabini comes home and takes the oath of allegiance to the US, but helps to organize the Partido Nacionalista whose ideology is absolute and immediate independence. 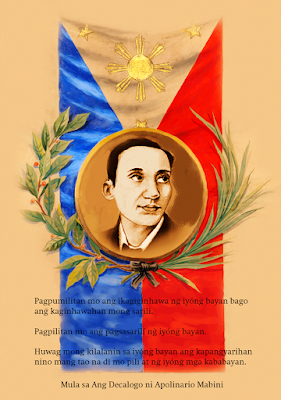 Barely three months after his return, Mabini passes away. He is mourned as the greatest hero of the Philippine revolution, because he alone, through his life’s work, showed his countrymen how to go beyond class, region and tribe to think and act as Filipinos. Thanks Mr. Toym Imao for this beautiful sculpture masterpiece!